I'm so excited to share with you that I’ve partnered with Arm & Hammer Fabric Care as their spokesperson! I’m a big fan of the brand because as any budget fashionista will know, part of making a wardrobe last is taking good care of your clothes. Stay tuned for some fun blog posts filled with useful tips and much more. 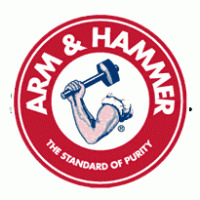 You can also catch me pretty soon doing TV segments sharing tips from Arm & Hammer Fabric Care.